A mobile tech device designed specifically for women that is stylish, functional and not pink? That's the mandate of Memi, a chic iPhone-compatible smart bracelet that discreetly vibrates when you receive important phone calls, text messages and calendar alerts. 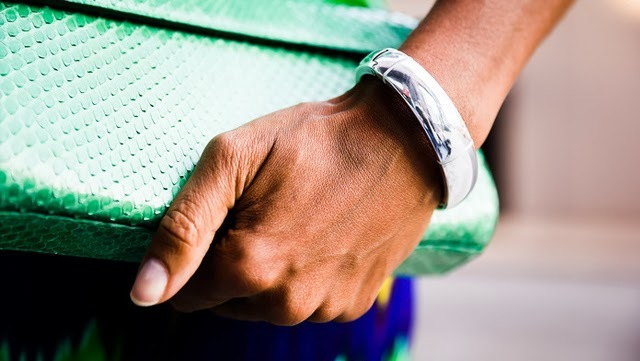 Designed to look more like a piece of jewellery, the Memi is sleek, adaptable and utilitarian. Using wireless technology to communicate with your iPhone via the Memi app allows the wearer to customise what alerts are sent to the bracelet. The device can be set to respond to certain specific persons as well as to discreetly notify you of calendar events. The Memi has three distinct vibration settings and a side button which allows you to mute or switch off incoming alerts. There is also a micro USB port hidden within the clasp for charging the device and to allow software updates. The Memi is designed to hold a charge for up to five days. 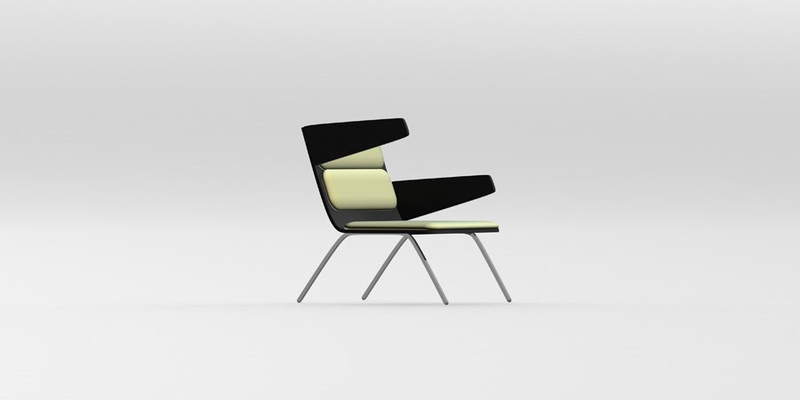 Dima Loginoff has designed the prototype Desperate Chair which is made of wood and chrome plated steel. 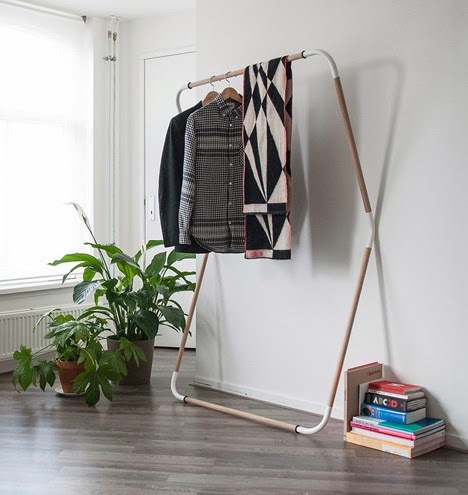 Woodstock is a lightweight, portable wardrobe from Jeroen Van Leur that was inspired by the humble tent pole. Described as a item for an "urban nomad", the constituent pieces of the modular unit, which consist of wooden sticks and copper connection parts, are easily be assembled in various combinations for different solutions to create a simple but efficient hanging system all of which packs into a convenient travel bag. Woodstock comes in three sizes and the frame only needs a wall to work. 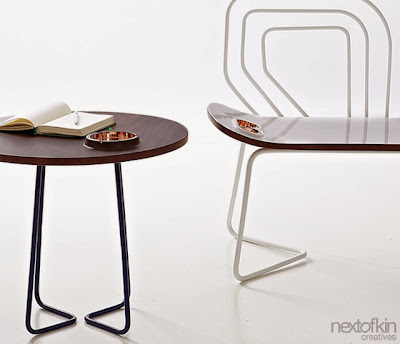 Habits X Forms is a small furniture collection created by Singaporean studio Nextofkin Creatives whose furnishing solutions are designed around the habits of users and are based on the concept that human behaviour influences an object's placement, shape and details. Consisting of a coffee table and a sofa with similar design elements, Habits X Forms is an elegant fusion of materials and functionality. 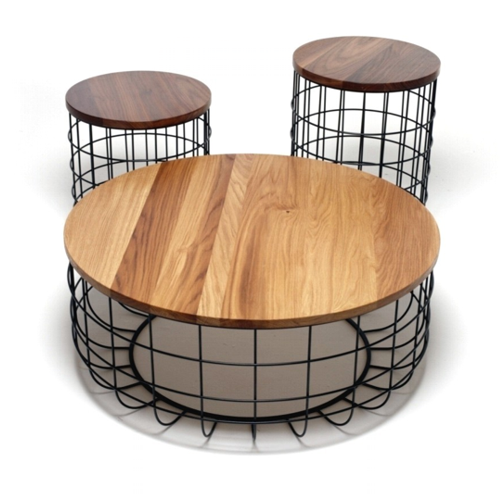 The coffee table has a round wooden surface supported by a steel structure. 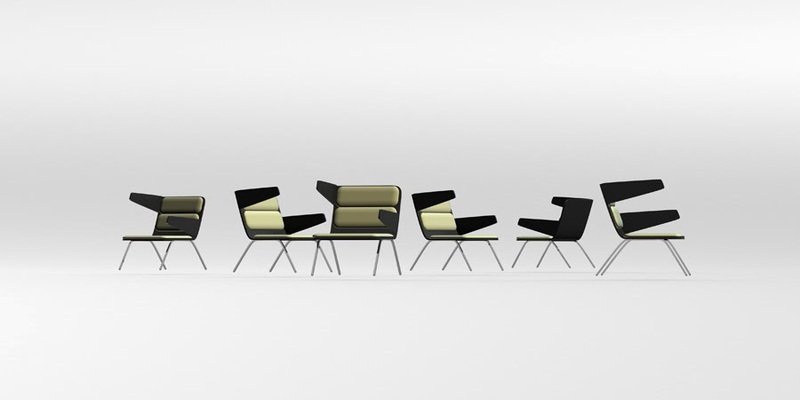 The two-seater sofa has been designed to be a comfortable reading seat. It also has a steel backrest and an integrated copper glasses container. 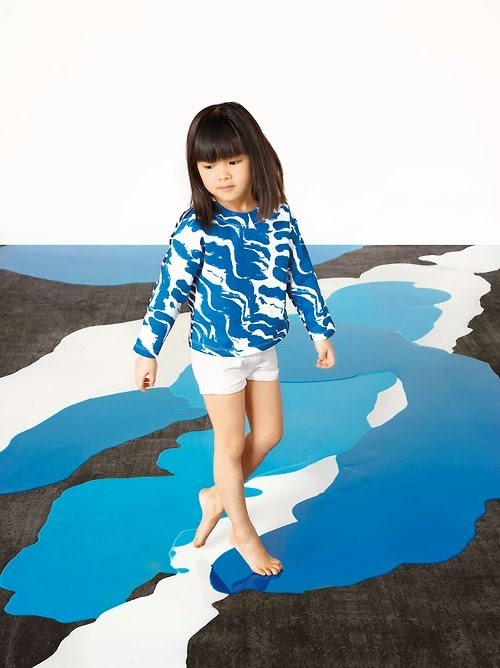 Petit Bateau has teamed up with Finnish designer Satu Maaranen to create a gorgeous limited edition capsule collection for women and children. 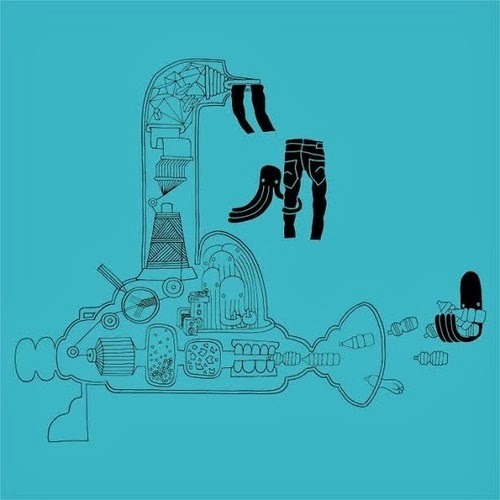 We always keep one eye out for interesting children's toys and ZoLO blanko is no exception. The creative building toy allows you to combine many different elements and then decorate them as you like. 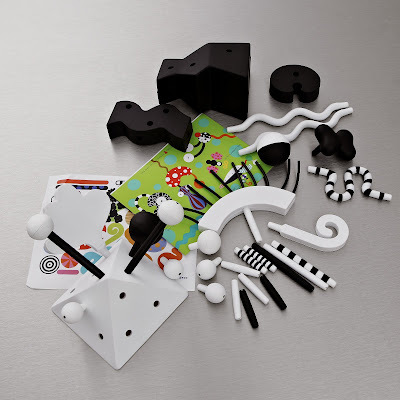 Made up of plastic pieces of various shapes and sizes, the 30 black or white pieces can be decorated with chalk, paint or stickers. ZoLO blanko can be used in conjunction with other ZoLO sets. Bermudian photographer Oliver Tucker held a double celebration of sorts last November with the opening of his show of Bermuda portraits called Face to Face, as well as the launch of POV Project Space, the new gallery in which the show was held. 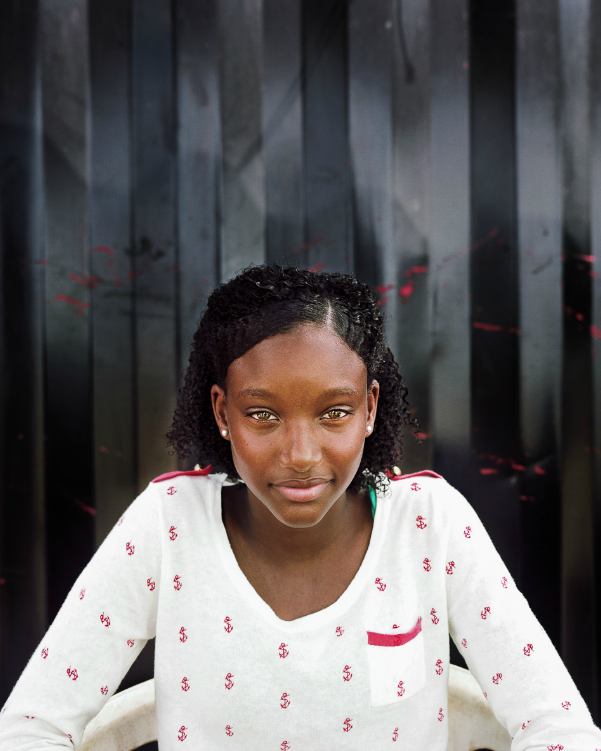 Face to Face featured a range of portraits through which Tucker attempted to incorporate his Bermudian identity. The project took eighteen months to complete and the images were shot using a 4 x 5 rather than a digital camera. The photographs are simply composed and styled, and most of the subjects are looking directly at the camera which creates a certain intimacy with the viewer. 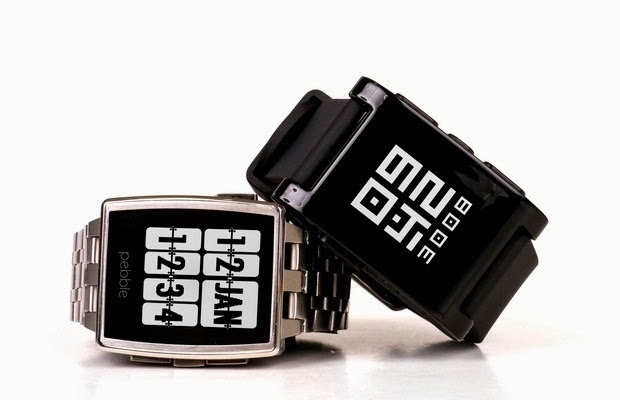 The latest in the wearable technology and software trend is the Pebble Steel which began shipping in January of this year. Made from premium watch components, including milled stainless steel and Corning® Gorilla® Glass, the Pebble Steel runs all the same apps and software as the Pebble and is completely compatible with the existing Pebble ecosystem (meaning it works with both Android and iOS operating systems). Each Pebble Steel comes with two straps: metal and leather, has a daylight readable display and tricolour LED. These Wire Group tables from Dare Studio are constructed with solid American Black Walnut, White Oak, honed marble or granite tops that are affixed to a powder coated or plated steel frame. In honour of the International Day of Happiness (yes, there is such a thing) let's feature the latest project from Pharrell Williams, who in addition to being a musician also wears a hat as the Creative Director of Bionic Yarn. Pharrell recently launched RAW for the Oceans, a long-term innovative collaboration between Bionic Yarn and denim brand G-Star RAW, whereby the two brands will produce a line of denim made from recycled materials (which is being described as "plastic yarn") recovered from the ocean. RAW for the Oceans was launched at American Museum of Natural History's Hall of Ocean Life, and part of the initiative is an effort to clean plastic pollution from the world’s oceans. It is anticipated that the collection will be available for purchase in stores in August. We are as guilty as anyone else of pareidolia or seeing faces in random objects, but Roberto Giacomucci has taken this trait a step further with his anthropomorphic furniture range for the Neotoi Family of furniture. 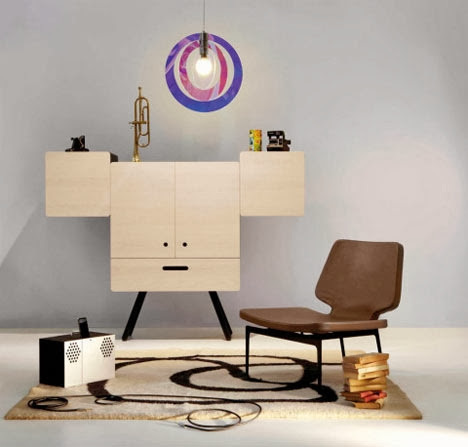 Each piece, which often resembles an entire animal, is modern and minimalist yet fun to look at. From a side table resembling a dog to a face-shaped storage unit, the Neotoi series comes in a limited palette of natural birch wood, red, black and white. Anna Murray and Grace Winteringham, two London-based designers who together make up Patternity, share the belief that pattern is everywhere and has the power to positively engage us with our environment and each other. 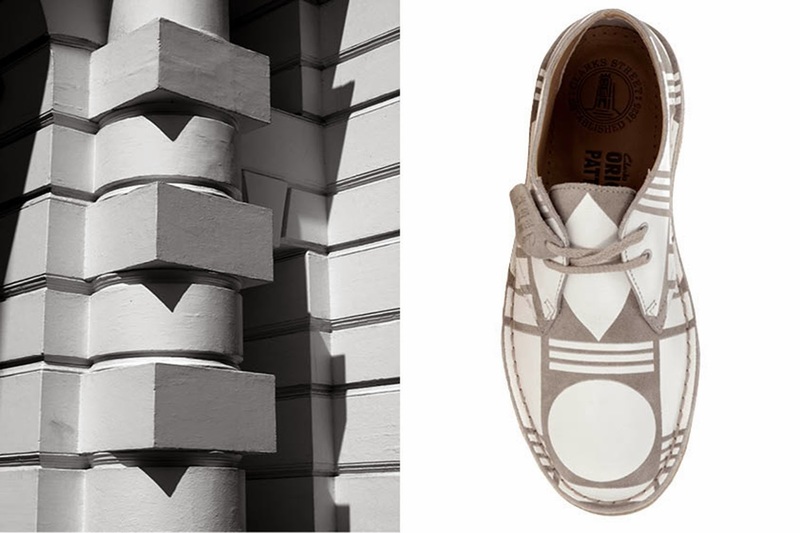 Inspired by this creativity and positivity, Patternity have joined forces with Clarks Originals to cover the men’s and women’s iconic Desert Boot with their exclusive graphic. For this first collection, Patternity looked to the fundamental building blocks of life that make up the world around us. The result is a bold rearrangement of circles, lines, triangles and squares. 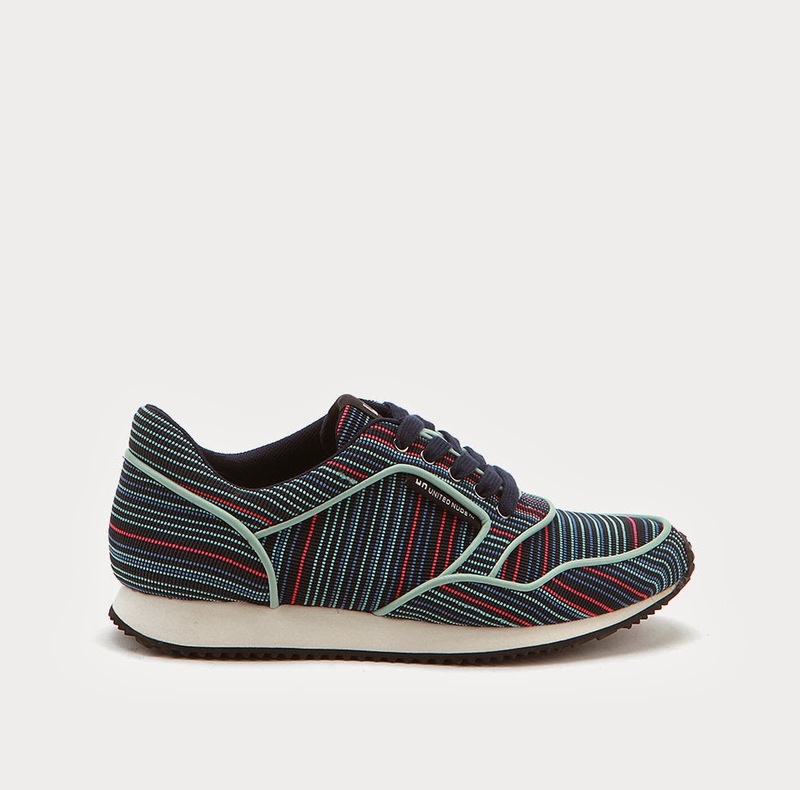 The lacquered geometric print on the traditional suede creates an exciting new dimension to Nathan Clark’s original vision. 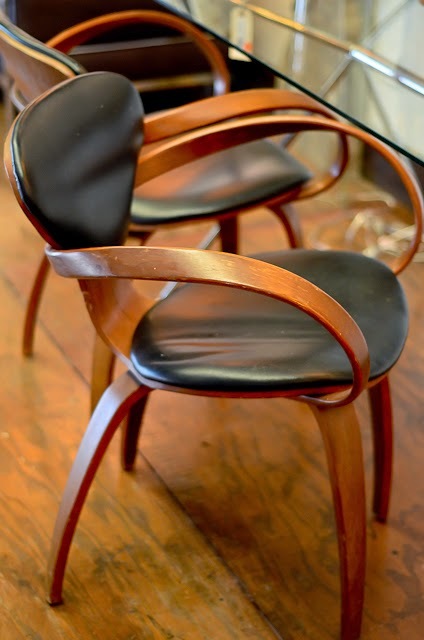 Cherner chairs at Urban Cottage. We love the muted colours and understated children's fashion from Caffe D'Orzo. 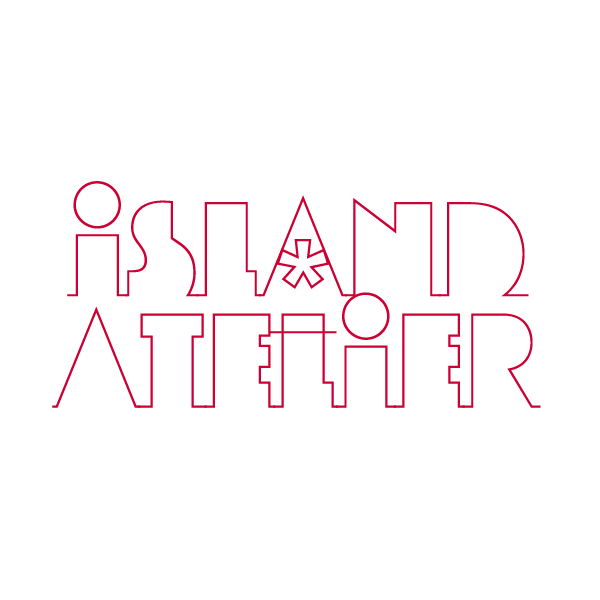 Bored of the clichéd Caribbean hotel with wicker furniture and thatched roofs? 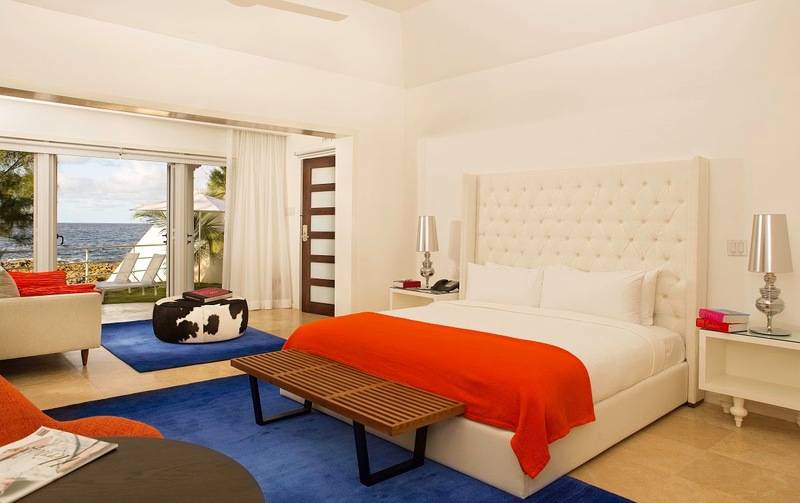 Then prepare to be blown away by the sleek, modern sophistication of the recently renovated Trident Hotel in Port Antonio, Jamaica. The hotel is made up of a cluster of thirteen villas and its interiors combine contemporary and historic design with top-notch facilities. 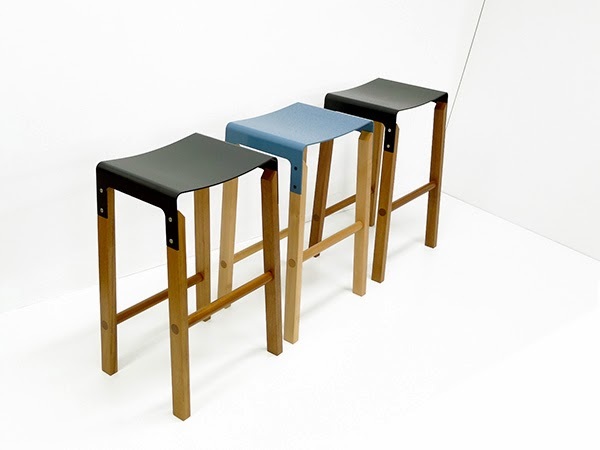 The Composite Stool by Cassels Design has its roots in the warmth of wood but is complemented by the addition of a powder-coated stainless steel seat. Each stool is hand-made in a garage behind the designer’s house and is currently available in Silver Beech or West African Sapele woods. 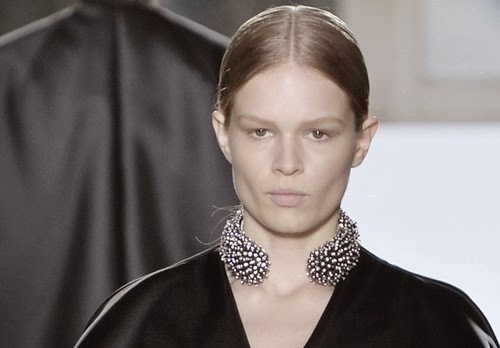 A jewelled collar from Balenciaga's show. 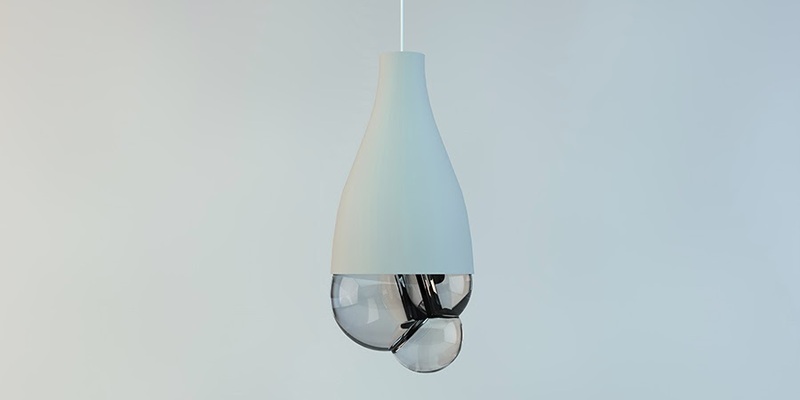 This prototype suspension light called the Let's say the Lamp by designer Dima Loginoff is a beautiful new lighting concept. Mara Hoffman's retail expansion continues with this alliance with Crewcuts. 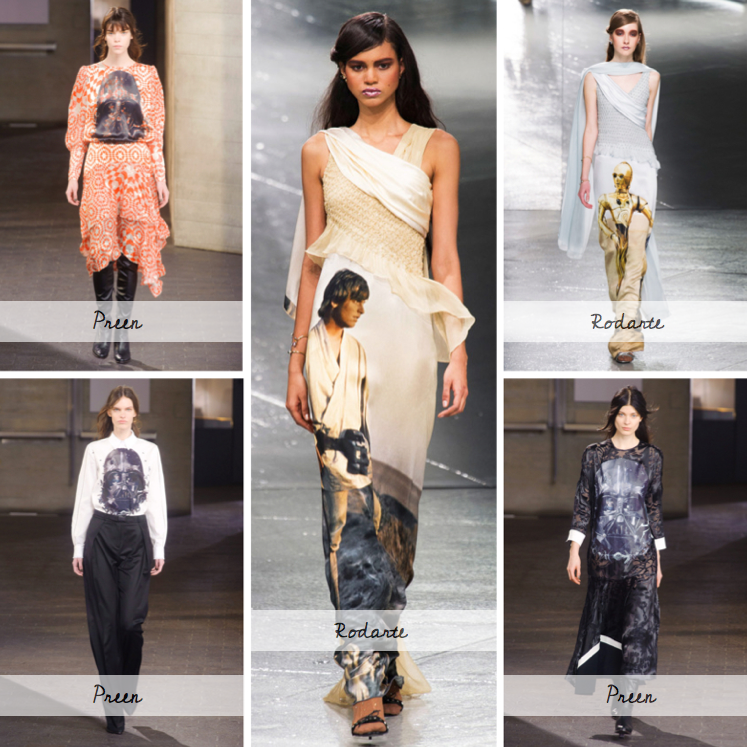 The line appears to be a mini-version of her adult one, and is inspired by the mythology and mysticism of India. 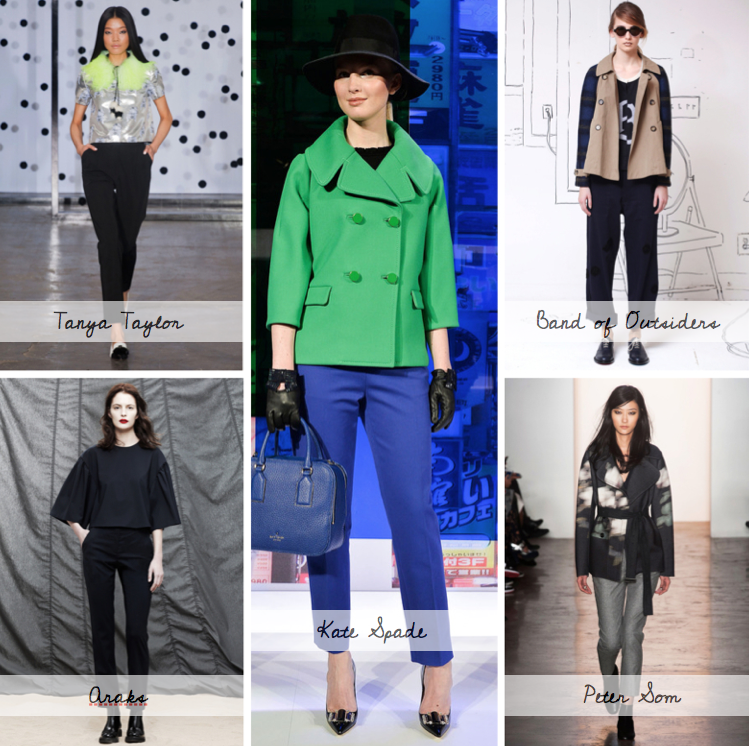 Mara Hoffman has steadily been increasing her profile and availability in the retail sector. One effective way she's done this has been to collaborate with other more established brands. First up, Hoffman's recent partnership with Pendleton which sees her characteristic psychedelic designs and mystical motifs on a range of beach towels. 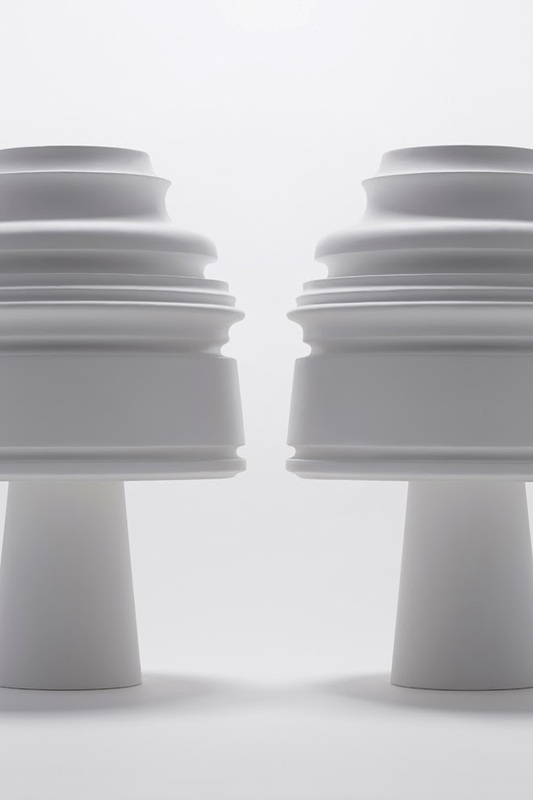 In celebration of the tenth anniversary of Kartell’s Bourgie lamp, the Italian plastic furniture specialist invited ten designers associated with the company to create tribute pieces for a special exhibition. Japanese studio Nendo's offering called the Eigruob lamp was created by inverting and rotating the iconic lamp’s silhouette and playing with its transparency. 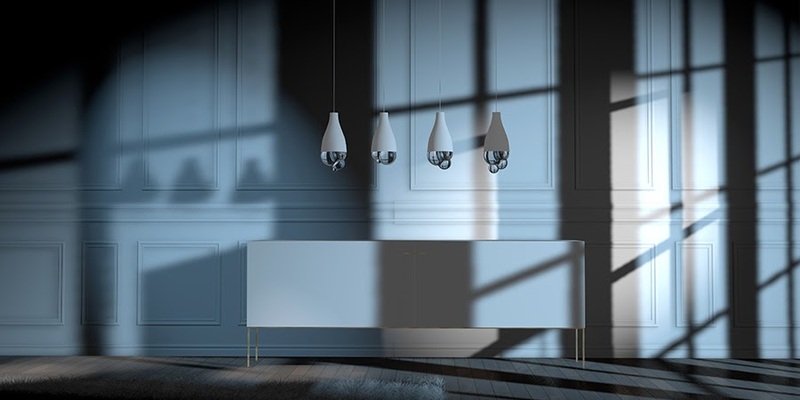 When two of the new lamps are lined up, the negative space between them forms the inverted silhouette of the Bourgie lamp. 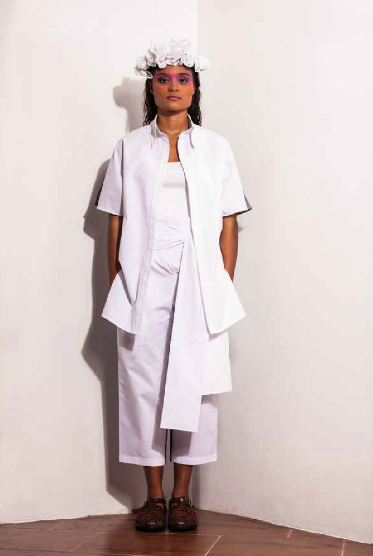 These easy, deconstructed designs are from Adrian Foster, a fashion design student from Trinidad and Tobago who, through his eponymous clothing and accessory line, aims to provide quality contemporary casual clothing for women. 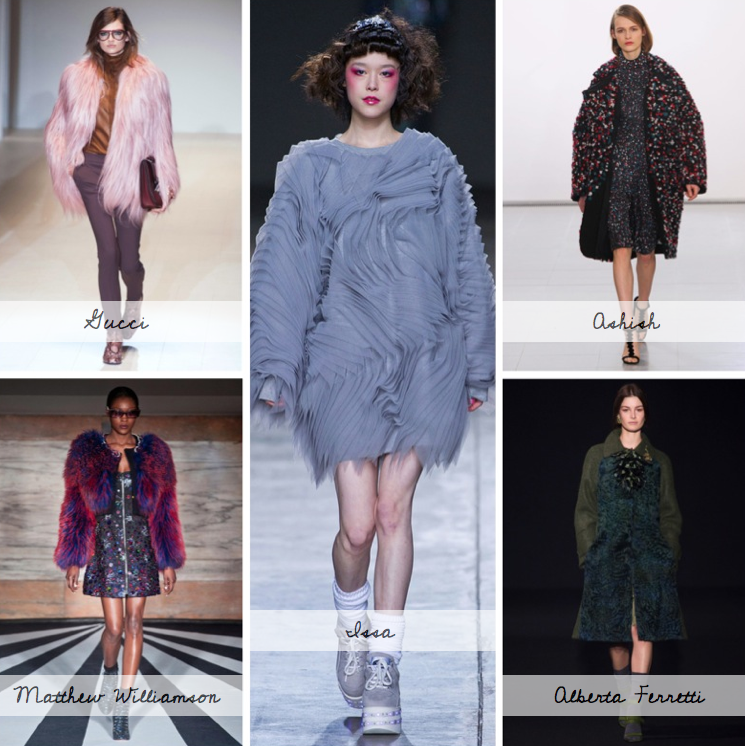 These images were taken from his capsule resort collection which was inspired by modern architecture. 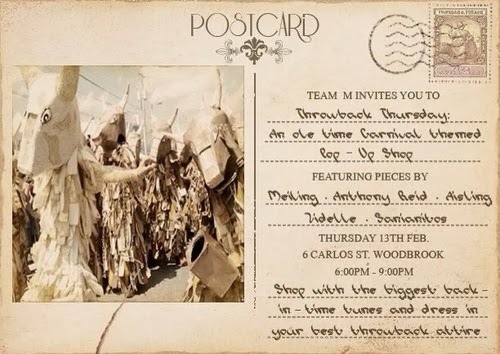 We love the attention to detail on this invitation to Trinidadian designer Meiling's pop-up shop which features traditional carnival characters. 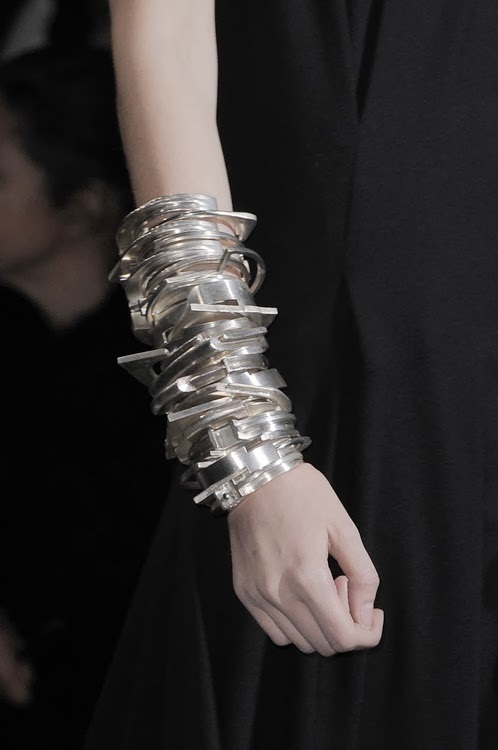 Stacked silver bracelets from Ann Demeulemeester. 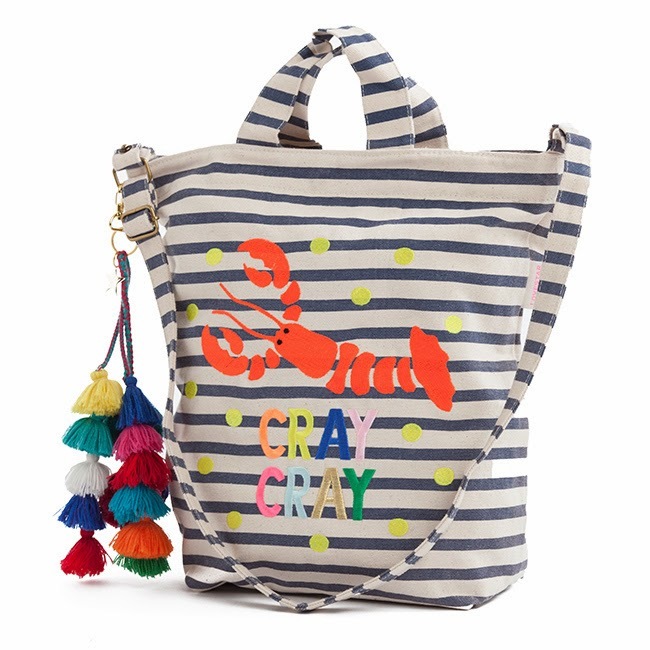 We have a real weakness for a stripe and so love this festive embroidered tote from Australia's Lovestar which screams "summer" to us. With handles and an adjustable shoulder strap, the bag is large enough to carry your beach supplies but small enough to use on city streets.